Chinese Coolpad has announced the new smartphone Coolpad M3 in the M series today. The smartphone comes with stylish looks and with a dual rear camera. It comes with a bigger notch on the 19:9 aspect ratio display and has a fingerprint scanner on the rear side. 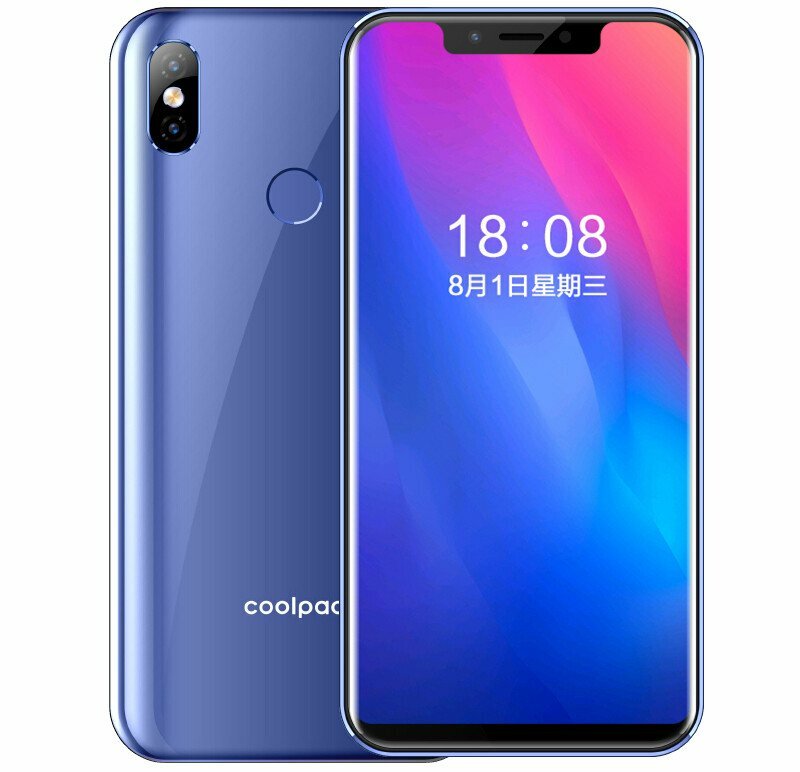 The Coolpad M3 is priced at 799 yuan (around $115) with the Blue colour option and will be available for sale via JD starting from November 28th in China. No details currently available about its availability outside China. It has a shiny finish on the back. The Coolpad M3 specifications are detailed below. The Coolpad M3 features a 5.85-inch HD 2.5D curved glass display with 1512 x 720 pixels resolution and is powered by an Octa-Core MediaTek MT6750 (4 x 1.5GHz A53 + 4 x 1.0GHz A53) processor with Mali T860 GPU. It comes with 4GB of RAM with 32GB of inbuilt storage capacity that is expandable further up to 128GB with the help of a microSD card slot. It runs on the Android 8.1 (Oreo) OS out of the box and also comes with Dual SIM support. It features a dual rear camera with a 13-megapixel camera with LED flash along with a 5-megapixel secondary rear camera. It also has a 5-megapixel front-facing camera for selfie lovers. It has a 2800mAh battery and supports connectivity options such as 4G VoLTE, WiFi 802.11 b/g/n, Bluetooth 4.2 LE, GPS / GLONASS. It measures 149.8 x 72.3 x 8.95mm and weights 171 grams. It has a fingerprint scanner on the rear side that unlocks the smartphone in just 0.2 seconds. The buyers also have other options in the same price range. For example, Xiaomi's Redmi 6 series which includes the Redmi 6, 6A and Redmi 6 Pro smartphones. The Redmi 6A has a similar price tag and comes with better specifications such as a 5.45-inch HD+ 18:9 2.5D curved glass display, 1000:1 Contrast ratio and 1440 × 720 pixels resolution. It is powered by a 2GHz Quad-Core MediaTek Helio A22 12nm processor. It comes with 2GB of RAM and 16GB internal storage capacity that is expandable up to 256GB with microSD card slot. It runs on the Android 8.1 (Oreo) with MIUI 9 and comes with Hybrid Dual SIM support. It features a single 13-megapixel rear camera with LED Flash, PDAF, f/2.2 aperture and has a 5-megapixel front-facing camera with f/2.2 aperture. It is backed up by a 3000mAh battery and supports 4G VoLTE, Wi-Fi 802.11 b/g/n, Bluetooth 4.2, GPS + GLONASS, 3.5mm audio jack connectivity options and supports dual microphones as well. It measures 147.5×71.5×8.3mm and weighs 145 grams.